A burning sensation in the feet is a symptom that not entirely uncommon. For most of us who experience burning feet every now and then, the sensation is short-lived and often associated with a long day of standing or excessive walking. Soaking the feet in a warm bath, resting it and even a gentle massage quickly relieves the burning sensation. However, there are instances where burning feet is a recurrent or persistent symptom that cannot be clearly attributed to any known reason like sustained physical activity. It may in fact be a symptom of some underlying disease that has not as yet been diagnosed. While the occasional bout of burning feet that eases quickly is not much of a concern, burning feet as a symptom of a disease can be an indication of serious complications developing. Therefore understanding some of the reasons behind burning feet is important. Here are ten reasons for burning feet with recommended tests and treatments that should only be considered with your doctor’s approval. Fungal infections of the skin are not uncommon and the feet are one of the most likely areas to be affected. Tinea pedis, the medical term for athlete’s foot, is a superficial infection of the skin of the feet caused by a type of fungus known as dermatophytes. The circular skin lesions with this type of fungal infection has contributed to the common term of ringworm. However, tinea pedis is not an infection with a parasitic worm. 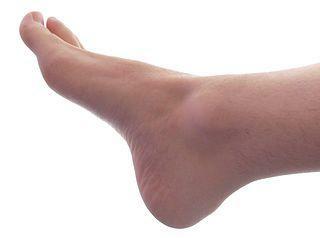 Athlete’s foot is more likely to occur in between the toes and on the side of the feet. Burning of the feet may be accompanied by itching, small fluid-filled vesicles and a characteristic skin rash. The condition is more common in people who wear closed shoes for long periods, walk barefoot in soil on a frequent basis or use public facilities like showers without protective footwear. 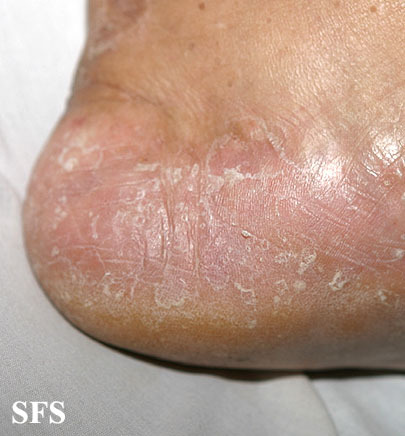 Typically there is drying, cracking and peeling of the skin on the feet within a confined area even if the characteristic ring-like rash is not evident. Your doctor may consider taking a skin scraping for further investigation under a microscope. Tinea pedis can be effectively treated with OTC and prescription antifungals. Topical antifungals are applied on the skin surface but sometimes oral medication is also required. Diabetes mellitus is a common endocrine disorder that is on the rise throughout the world. It is closely linked to obesity, a sedentary lifestyle and family history. In diabetes, the blood glucose levels are not properly regulated due to a lack of insulin unresponsiveness to insulin. Over time the elevated blood glucose levels can damage various structures in the body like the blood vessels and nerves. Diabetic neuropathy is a condition where the nerves have become irritated or even damaged due to poor glucose control. It develops after years of having diabetes and is more likely to affect a person who does not adhere to proper diabetic management. A burning sensation may also be accompanied by severe pain in the feet in the early stages and eventually numbness of the feet. Your doctor will conduct a series of blood tests to identify your blood glucose levels and establish your insulin levels. A neurological examination will also assess the nerve function in the specific area. There is a range of oral antidiabetic medication available to manage diabetes with insulin reserved for very severe cases. Treating the diabetes and managing it appropriately can ease certain neurological symptoms but often the nerve damage may be irreversible. Two vitamins that have been closely associated with nerve dysfunction that may contribute to burning feet is vitamin B12 and B6. However, there may be several other nutritional deficiencies that can also contribute to a burning sensation of the feet. Of these two vitamins, deficiencies of vitamin B12 has a stronger correlation with burning feet. It causes a host of degenerative changes of the nerves, some of which are irreversible in prolonged deficiencies. Vitamin B6 also leads to sensory neuropathy but to a lesser extent. Vitamin B12 deficiencies are more common and frequently seen in vegetarians and vegans. Most vitamin B12 is derived from animal products whereas vitamin B6 in vegetables, nuts and several different grains. The elderly, alcoholics and people with diseases of the digestive tract are also at risk. The degree of neurological symptoms like burning feet is largely dependent on the severity and duration of the deficiency. Anemia associated with vitamin B12 deficiency can also contribute to peripheral neuropathy and symptoms like burning feet. Blood tests are available to identify deficiencies of these vitamins and also to evaluate its microscopic effects. The presentation of typical vitamin B12 and B6 deficiency symptoms, coupled with a history that may confirm a possible cause for the deficiency, often prompts your doctor to start supplementation even without diagnostic tests. Improvement of symptoms with supplementation then serves to confirm the initial suspicion of a vitamin B12 or B6 deficiency. With the hormonal fluctuations that precede the onset of menopause (peri-menopause) and the decreased female hormone levels during menopause, symptoms like hot flashes are commonly reported. Burning feet may be just one such variation of a hot flash, the true nature of which is not clearly understood. It may be a neurological symptom or arise with sudden transient changes of blood flow in the skin. Hypertension that arises during the menopausal years can also contribute to burning feet. Another common hormonal cause of burning feet is an underactive thyroid gland referred to as hypothyroidism. Abnormal sensations known as paresthesias and nerve root entrapment syndromes are some of the common symptoms of severe untreated cases of hypothyroidism. The condition is typically underdiagnosed in women during the menopausal years, and hypothyroidism may in fact be a cause of burning feet in menopausal women and not the hormonal fluctuations of menopause itself. Menopause usually does not require specific diagnostic tests. The cessation of menstruation in a women over 40 years, often preceded by months to year of menstrual irregularity, is sufficient to diagnose menopause. Hypothyroidism can only be conclusively diagnosed after specific thyroid profile tests. Menopausal women with severe symptoms that are unbearable may need to start with hormone replacement therapy (HRT). Hypothyroidism can be effectively managed with synthetic thyroid hormones although sometimes hypothyroidism is transient and resolves completely. Peripheral arterial disease, more commonly referred to as peripheral vascular disease, is a condition where the arteries supplying the leg are narrow and may eventually become blocked completely. The narrowing occurs gradually over years due to the build up of fatty plaques (atherosclerosis) in the leg arteries. It is a more common condition in seniors. Reduced blood supply to the leg leads to tissue injury particularly during physical activity. This may present as a number of sensations varying from a burning sensation to even severe pain and muscle weakness. The legs may also appear paler than normal, there may be some loss of hair on the legs and even the development of arterial ulcers. Symptoms are worse when walking and sometimes even with lying flat. Typically patients who report symptoms when lying down find that it eases by handing the leg over the edge of the bed. This occurs as a result of gravity assisting blood flow beyond the narrowing thereby easing these symptoms like burning feet. Several imaging studies like an ultrasound, CT scan or MRI can confirm a narrowing of the leg arteries and reduced blood flow to the lower leg and feet. The condition can be treated by using statins for reducing fatty plaque build up and aspirin to prevent complete blockage by blood clots. Surgery may sometimes be necessary in severe cases where alternate routes for blood flow are established (bypass) or the artery is widened by balloon angioplasty. In very severe cases of peripheral arterial disease, amputation of the foot and lower leg may sometimes be necessary although this is rare.